While the idea of taking any notice of the Westboro Baptist Church is disturbing, at some times it is unavoidable if the journalistic lens is the behavior of and policy toward tax-exempt organizations. The shooter of movie theater patrons in Lafayette, Louisiana is reputed to have expressed some positive sentiments toward the Westboro Baptist Church, the religious institution known for its “God hates fags” slogan and its predilection to picket at the funerals of U.S. servicemembers. Although the shooter, John Russell Houser, wasn’t a member, the church has taken a positive attitude to the man who once wrote that Westboro Baptist “may be the last church in America [whose] members [are] not brainwashed.” The Church has threatened to picket the funerals of the two women who Houser shot and killed in the theater. 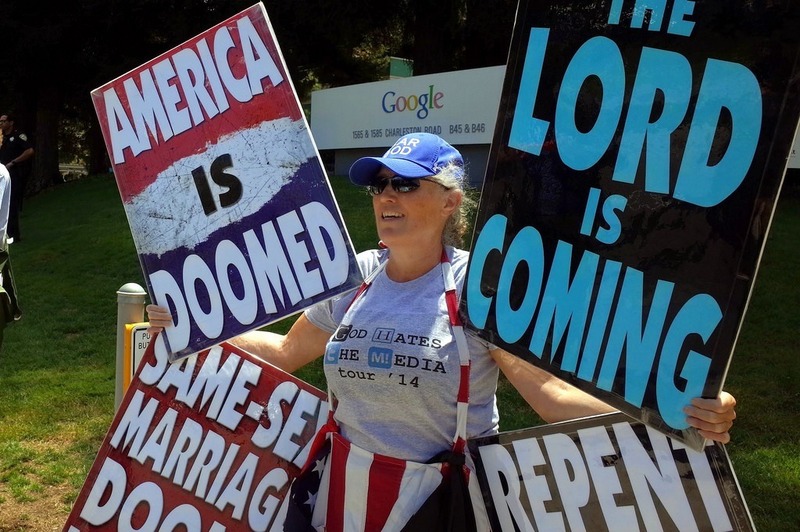 In a social media posting, Westboro indicated that God sent Houser to the theater to unleash his mayhem. The threat to picket has generated official and unofficial reactions. On the unofficial side, a Facebook page called STOP Westboro in Lafayette, Lousiana, published, “Acadiana, let YOUR voice be heard. Let’s protect our community and keep these people OUT of our area!” and threatened to greet the Westboro picketers with a human wall. The official action came from Louisiana governor Bobby Jindal, who issued an executive order threatening to take “swift and immediate action” against anyone who might disrupt the funerals of Mayci Breaux and Jillian Johnson.